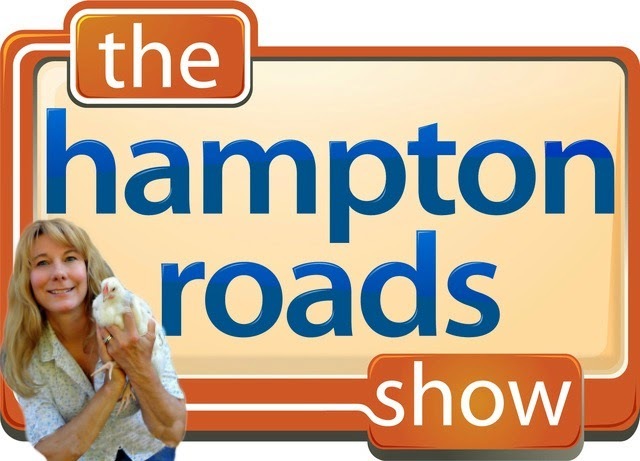 I was recently contacted and asked to film a segment for The Hampton Roads Show about backyard chickens. 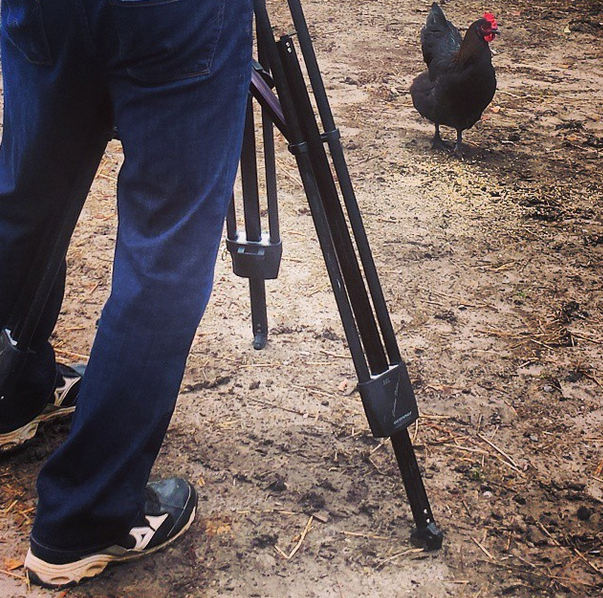 (Think the Today Show with a local community flair - sort of a lifestyle, sports, celebrity, fashion trend show with recipes from local area restaurants thrown in) Naturally, I immediately agreed and extended an invitation to come out to our farm to do the taping. Emmy award-winning show anchor Chris Reckling pulled up in our driveway right on time last Thursday afternoon and after chatting a bit, we ran through the general look and feel he was going for in the segment and then chose a few locations around our coop and pasture that would work for the shots he needed...and the filming began. The girls were of course the stars of the show, chattering and busily bustling around, unperturbed by the camera equipment. I, meanwhile, followed my cues and hit my marks and followed the script we had decided on prior to starting the camera rolling. The forty-five minutes or so passed quickly - and even the horses and ducks got in on the action by the time we were done. Naturally I packaged up a dozen of our prettiest eggs for Chris to take home with him. The episode aired this past Tuesday on WAVY10 and I couldn't be prouder of the girls and how they handled themselves in the spotlight. 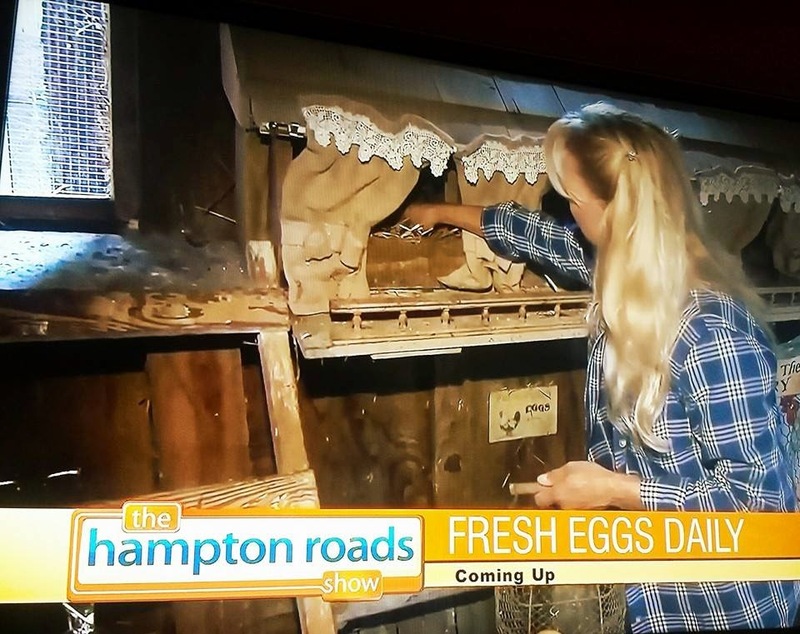 I think we all gave backyard chicken keepers a good name in this, our official television debut! That was a great interview. Good job.